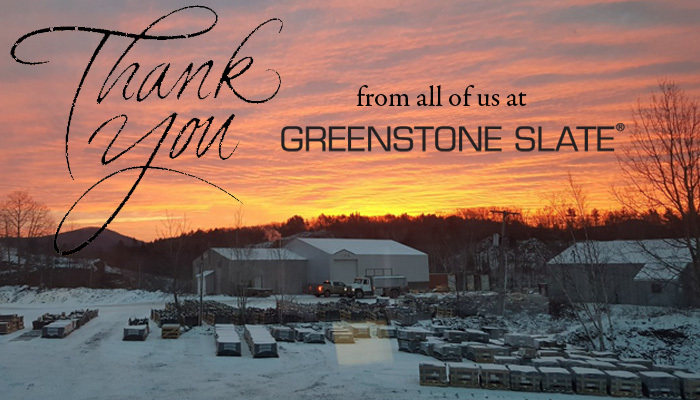 Thank you for your business in 2017! We want to hear about what is NEW for 2018! Do you have any slate roof or slate cladding projects you would like to share in our project gallery? Do you have new upcoming slate projects you need help with? Do you have some small slate repairs? Want to learn more about light weight slate installation options? Want to learn how to incorporate slate siding on your next project? We’re here to help….Contact us using our contact form or call 800.619.4333! Greenstone Genuine Vermont Slate is ASTM S1 rated. Greenstone slate is handcrafted by our skilled craftsmen. Every Greenstone Vermont Slate roof purchase comes with a 100 year slate warranty. We work with contractors, architects, general contractors and supply houses all over the world.